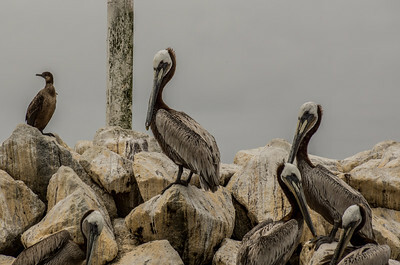 This gallery includes photos of wild birds found on shore, in marshes and ocean side. 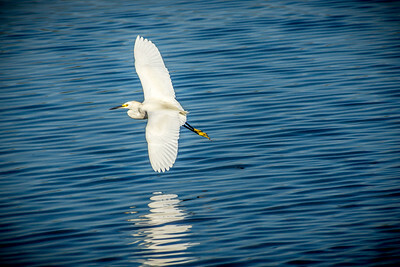 ​I captured this Snowy Egret at the Bolsa Chica Ecological Reserve in Huntington Beach, California. 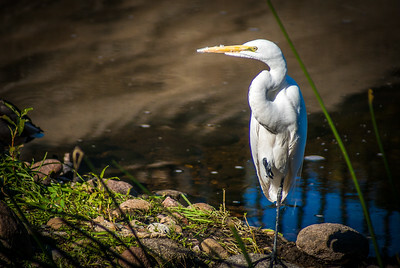 This beautiful, graceful small egret is very active in its feeding behavior in shallow waters. Known by its contrasting yellow feet, it could be said to dance in the shallows on golden slippers. 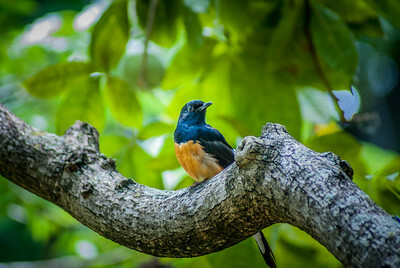 I took this photo of the White-rumped Shama at Foster Botanical Garden in downtown Honolulu. 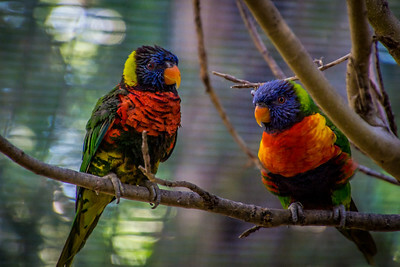 It was introduced to Kauai in 1931, Oahu in 1940 and Maui in the late 1900s in an effort to supplement the native fauna. They also occur on Molokai and Lanai. They are commonly found in valley forests and on the ridges of the southern Ko'olaus. They are Indigenous to Southeast Asia, India, and some Indonesian Islands. 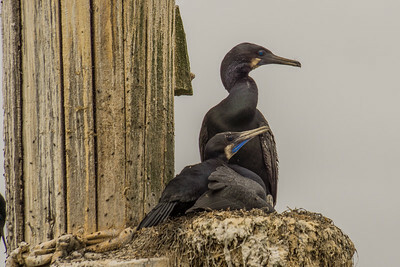 The Brandt's Cormorant inhabits marine environments along the Pacific Coast. This large, gregarious bird often feeds, flies, roosts, and nests in large groups. The brown pelican is a resident of Pacific Coast from southern California south to Chile, dispersing northward as far as southern British Columbia after nesting season. It is the only non-white pelican in the world. 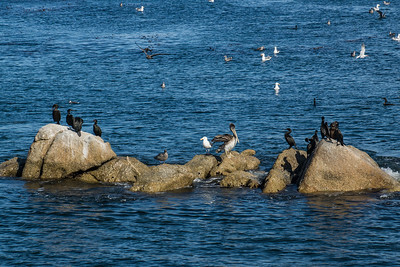 Sea Gulls, Brandt's Cormorants and a lonely White Pelican perched on rocks in Monterey Bay. The Brandt's Cormorant inhabits marine environments along the Pacific Coast. This large, gregarious bird often feeds, flies, roosts, and nests in large groups. White Pelicans have keen eyesight. As they fly over the ocean, they can spot a school of small fish, or even a single fish. 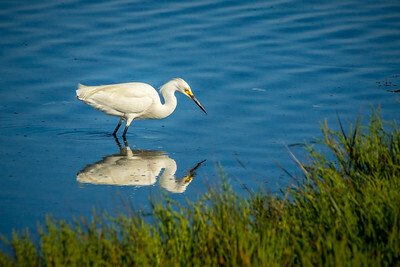 I captured this Snowy Egret at the Bolsa Chica Ecological Reserve in Huntington Beach, California. This is a beautiful, graceful small egret, very active in its feeding behavior in shallow waters. Known by its contrasting yellow feet, could be said to dance in the shallows on golden slippers. 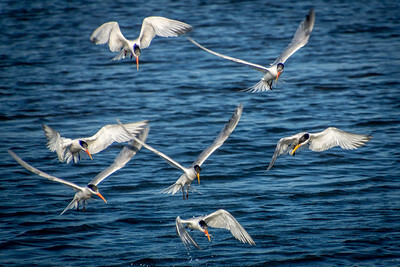 I captured these Terns diving for fish at the Bolsa Chica Ethological reserve in Huntington, California The Elegant Tern is a medium-sized tern with a shaggy crest and a long, slightly drooping orange bill, the Elegant Tern is seen along the Pacific Coast. After nesting in very southern California and Mexico, it wanders northward to northern California, or even to British Columbia. I captured this Forster's Tern nesting in the Bolsa Chica Ethological reserve in Huntington, California. 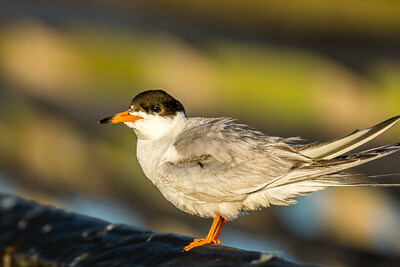 Typically associated with marsh habitats, Forster’s tern may be found in fresh, brackish or saltwater marshes, the marshy borders of lakes, islands or streams, and the marsh areas close to beaches and estuaries. It is generally found in the open, deeper areas of marsh, where it nests among floating and emergent vegetation. 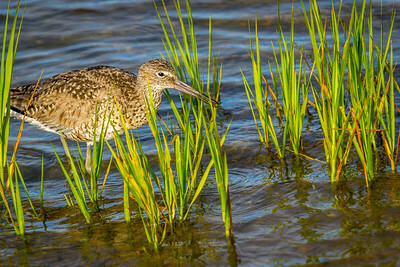 I captured this Willet feeding Bolsa Chica Ethological reserve in Huntington, California. These long-legged, straight-billed shorebirds feed along beaches, mudflats, and rocky shores. 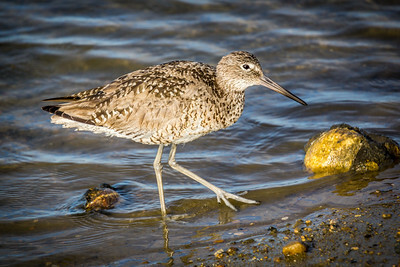 Willets are common on most of the coastline in Southern California. Here on the coast they feed on many crabs, including fiddler crabs. They also feed on other crustaceans, small mollusks, sometimes small fish; eats some plant material, including grass, fresh shoots, and seeds. 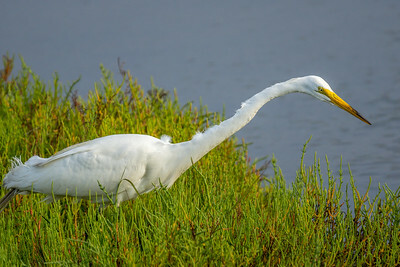 I captured this Great Egret feeding in the Bolsa Chica Ecological Reserve in Huntington Beach, California. 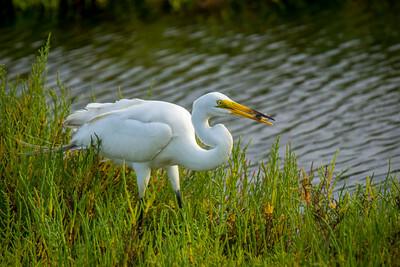 Great Egrets wade in shallow water (both fresh and salt) to hunt fish, frogs, and other small aquatic animals. They typically stand still and watch for unsuspecting prey to pass by. Then, with startling speed, the egrets strike with a jab of their long neck and bill. 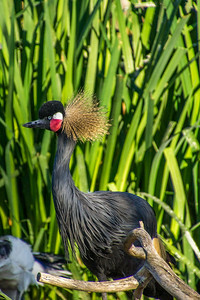 They are tall, long-legged wading birds with long, S-curved necks and long, dagger-like bills. 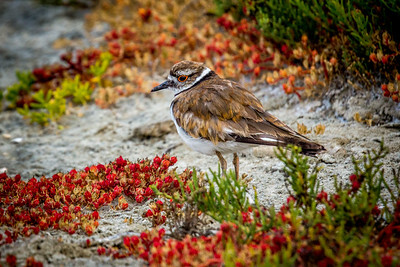 I captured this Killdeer in the Bolsa Chica Ecological Reserve in Huntington Beach, California. The Killdeer is a shorebird you can see without going to the beach; Killdeer are graceful plovers common to lawns, golf courses, athletic fields, and parking lots. These tawny birds run across the ground in spurts, stopping with a jolt every so often to check their progress, or to see if they’ve startled up any insect prey. Their voice, a far-carrying, excited kill-deer, is a common sound even after dark. I captured this Great Blue Heron in the wading in the marsh at the Bolsa Chica Ecological Reserve in Huntington, California. 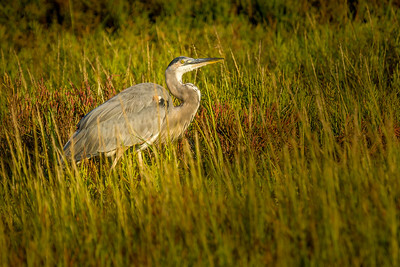 The great blue heron is a large wading bird in the heron family, common near the shores of open water and in wetlands over most of North America and Central America, as well as the Caribbean and the Galápagos Islands. 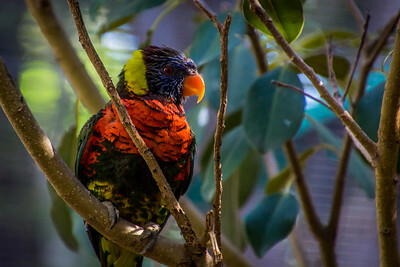 The rainbow lorikeet is a species of parrot found in Australia. 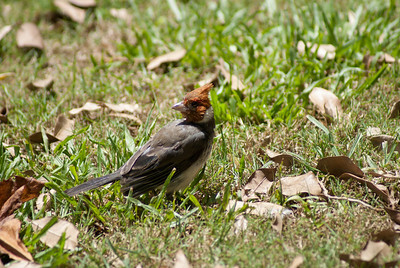 It is common along the eastern seaboard, from northern Queensland to South Australia. Its habitat is rainforest, coastal bush, and woodland areas. 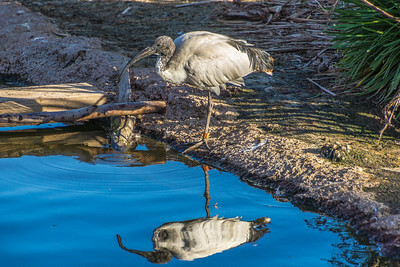 I took this photo of an African Sacred Ibis along the African Loop trail at the San Diego Safari Park. The African sacred ibis occurs in marshy wetlands and mud flats, both inland and on the coast. The crowned crane is a tall, majestic-looking bird with a “crown” of tall, stiff, golden feathers. The crane's long legs and neck, and excellent peripheral vision help it spot predators in the tall savanna grasses. 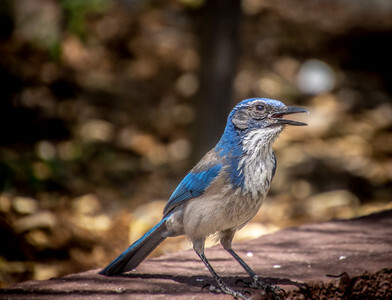 I captured this photo of a Scrub Jay in our backyard. The California Scrub Jay is a species of scrub jay native to western North America. It ranges from southern British Columbia throughout California west of the Sierra Nevada. 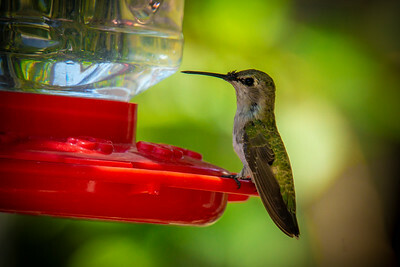 I captured this Anna hummingbird taking in sugar water from my backyard feeder. The Anna is a medium-sized hummingbird native to the west coast of North America. Anna's hummingbirds located in northern Baja California and southern California. 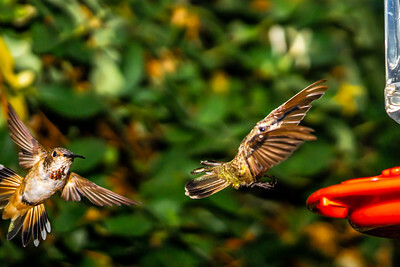 I captured this pair of Anna hummingbird taking in sugar water from my backyard feeder. The Anna is a medium-sized hummingbird native to the west coast of North America. 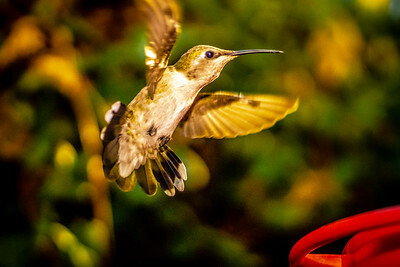 Anna's hummingbirds located in northern Baja California and southern California.